Developing Type 1 diabetes at the age of 40 could have seriously curtailed my career as a busy and committed school teacher. Teaching is a mentally and physically active job, in which there is an expectation that you will be “in control”, but a condition which makes you prone to hypoglycaemia, leaving you helpless and vulnerable, albeit temporarily, is not easily compatible with being in charge of a class of boisterous teenagers. At the time of my diagnosis, I was just six years into a post as Head of Sixth Form, responsible for the lives and careers of 160 young people, and was still a classroom teacher of French, a job which included organising and leading a residential trip to France for up to 70 children. I didn’t stop either role, and continued as Head of Sixth Form for another 19 years until my semi-retirement last year. (I still work part-time in the same school as a university entrance advisor). So diabetes had to fit in with that lot, as well as my family life with three children, all under 13 at the time of diagnosis. I have always taken the view that diabetes has to fit around my life, rather than fitting my life around diabetes. This means being one step ahead of diabetes if possible. So how do I keep one step ahead? Well of course it’s not always possible, but if I can, I try to anticipate and stave off highs and lows rather than reacting to extremes. 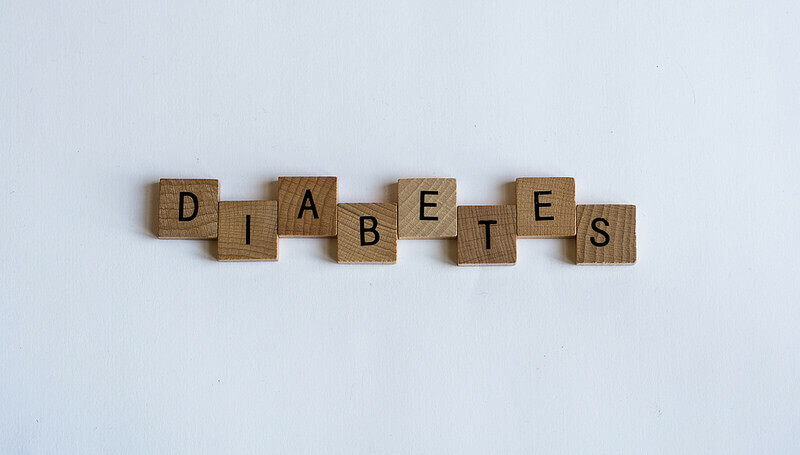 It helps to have a reasonably predictable routine, to exercise gently and regularly rather than intensively and to have ready access to my twin remedies for low blood sugar: jelly babies and digestive biscuits, and of course to my short acting insulin. My working routine has remained largely unchanged in years. By cycling to work (only a mile and a half), I slap down any post-breakfast spike in blood sugar, meaning that a well-timed and discrete biscuit or two gets me through the morning with a steady level. Lunch can be a problem, leading to either an un comfortable high or a disabling low, but an appropriate insulin dose can keep things in range, especially if the early afternoon is active and busy. Again, any impending low can be averted by a well-timed and welcome snack. The cycle ride home not only helps to clear my head of the day’s issues but also leaves levels nicely low or falling in time for an evening meal, and means that a sedentary evening doesn’t necessarily lead to a high at bedtime. My evenings as a full-time teacher were always spent at my desk working. So anticipation of blood sugar levels is the key for me. In that way, I guess I could claim that I am actually being even smarter than a working pancreas, which only reacts to food intake. I’m one step ahead of my blood sugar as far as possible. I think of it as a game, not a burden. And I have to say that my greatest ally in that little game is the FreeStyle Libre system whose trend arrow tells me where my current level is heading.1 It’s like a computer game in which there’s a lot of simple pleasure to be gained from little victories. As Mary Poppins famously says: “In every job that must be done, there is an element of fun. You find the fun, and SNAP – the job’s a game! 1. A finger prick test using a blood glucose meter is required during times of rapidly changing glucose levels when interstitial fluid glucose levels may not accurately reflect blood glucose levels, or if hypoglycemia or impending hypoglycemia is reported or the symptoms do not match the system readings. For a complete glycemic picture, scan once every 8 hours.